“If the legendary Schindler’s List was not enough to showcase Thomas Keneally’s literary mastery, then [this novel] surely will” (New York Daily News) as the Booker Prize-winning author reimagines from all sides the drastic true events of the night more than one thousand Japanese POWs staged the largest and bloodiest prison escape of World War II. Alice is living on her father-in-law’s farm on the edge of an Australian country town, while her husband is held prisoner in Europe. When Giancarlo, an Italian inmate at the prisoner-of-war camp down the road, is assigned to work on the farm, she hopes that being kind to him will somehow influence her husband’s treatment. What she doesn’t anticipate is how dramatically Giancarlo will change the way she understands both herself and the wider world. What most challenges Alice and her fellow townspeople is the utter foreignness of the thousand-plus Japanese inmates and their deeply held code of honor, which the camp commanders fatally misread. Mortified by being taken alive in battle and preferring a violent death to the shame of living, the Japanese prisoners plan an outbreak with shattering and far-reaching consequences for all the citizens around them. 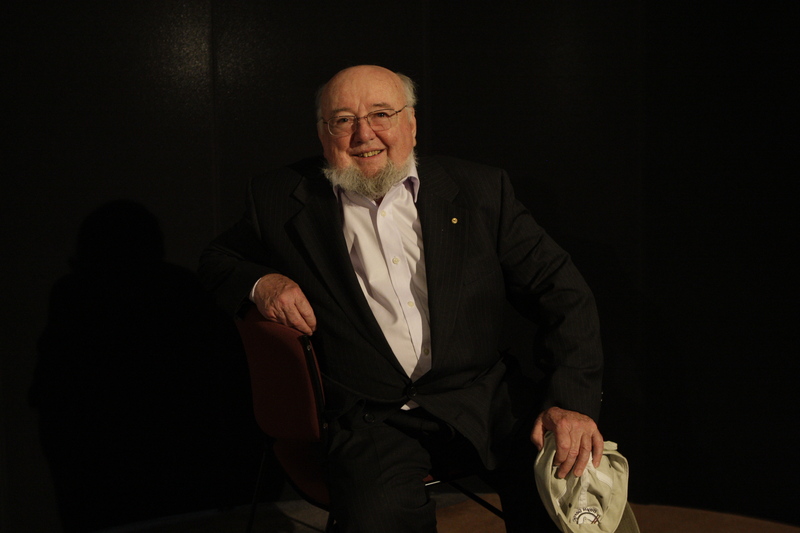 In a career spanning half a century, Thomas Keneally has proven brilliant at exploring ordinary lives caught up in extraordinary events. With this profoundly gripping and thought-provoking novel, inspired by a notorious incident in New South Wales in 1944, he once again shows why he is celebrated as a writer who “looks into the heart of the human condition with a piercing intelligence that few can match” (Sunday Telegraph). On an unexpectedly warm day in the second October since her husband’s capture, twenty-three-year-old Mrs. Alice Herman saw—from the veranda where she sat sewing buttons on one of her father-in-law’s shirts—an army truck pull up in the middle of the rutted clay and gravel road outside the Hermans’ place, three miles west of Gawell. She believed at first that the truck had simply broken down. But it had a purpose. Four guards with rifles alighted, and then six of those others—prisoners in their deep-red shirts and trousers—were ordered down from the back. They were instantly fascinating, with their subtle contours, even in the different way they jumped, stood, and moved. They were beings from the other side of the veil of what was understandable, of what could be condoned or countenanced. Even without their repute as frenzied warriors, the perilous difference of their blood was proscribed in the canons of White Australia. A person at a safe distance couldn’t avoid gawping at them. Certainly the Mussolini-loving Italians from the same Gawell Prisoner of War Camp weren’t as interesting. Even in Alice’s girlhood, there had always been an Italian family or two in each country town. They tended to sell fruit. The Italians in Gawell Camp were not only more numerous, they were also scattered as laborers on farms all over the place. Duncan Herman, her father-in-law, had applied to a place called the Control Center to send him one. But Italians surely lacked the novelty value of the Japanese. There were, by contrast, only perhaps a thousand of these Oriental exotics over there, three miles off in Gawell Camp, and they were normally kept out of public sight. So they were an astounding apparition for a woman like her, one dedicated to a life of near drudgery, cooking and pickling, bottling fruit, feeding chickens, milking, churning butter, and—in season—lambing. Since the rouseabout who had lived in the shearers’ quarters had joined the militia, Alice had been assigned to these tasks by national necessity. She did not wish to go home to her parents’ place to fulfill similar work and attend to her querulous mother as well. She stayed on the Herman farm, of which her absent husband was son and inheritor. The second reason the men engrossed her attention was that they shared with her husband, Neville Herman, the condition of being prisoners. Though they might be so removed from jovial Neville by layers of oddity, their captive state was a reproach to her. She had barely known her husband as an abiding presence before he was gone. She felt this was her fault, since she had married him as an opportunity and without certainty. It had also been such a short marriage—they had barely got beyond much playfulness and one or two lesser flashes of irritation. As for the physical side, she felt there hadn’t been enough of it to impress her body with memory and ache. She knew the wives of other men now held by the enemy, and could sense the more strenuous, sinewy bonds of their marriages. She might have been like them had she and Neville lived together for a year, instead of for a brief season of what seemed sport. Sometimes now Neville seemed more a story than a man: nearly got away, poor Nev. A victim of the code of mateship. And so even with these prisoners down on the road, she had a mad suspicion she could, by observing them, learn something of Neville, and that she had a duty to do that. Neville had sat a time on the shores of Crete with thousands of others who had missed the last friendly ship, or been considered ineligible for it. He had then joined some comrades on a Greek vessel called a caïque and sailed eastwards to Chios, off Turkey. Men were taken off Chios at night by further small vessels, which made for Alexandria—so a friend of Neville’s who’d got away in that manner had told her in a letter. Neville had given up his place on a vessel to a man with pneumonia, the letter writer said. Duncan had believed that outright, but Alice—for reasons she couldn’t define—wondered whether it was the truth or a consoling lie. Not that Neville wasn’t a good enough fellow for that to be true! In any case, the Germans had occupied Chios while Neville was still waiting there. At the end of Neville’s Greek adventure, after marches and steamer and train journeys, which he’d described in a letter, he’d ended in a place in the east of Austria named Eichberg. That was where the food parcels she got together were sent, via a Red Cross address in Sydney. In his most recent letter, which had arrived in July, he had praised the last parcel and said that it was good, after the winter, to be let out to the farms, even if it was only for the day. These details were too sparse; her imagination could not get purchase on the life he led, and she gazed at the prisoners, as if they could give her a clue. The laborers on the road in their russet-dyed uniforms whom Alice now observed were said to belong to an army who “gave it a go,” as Duncan had said of his son. That was why there were only a thousand of them in Gawell, and a scatter elsewhere in the countryside. They were said to choose mad last stands before surrender, and were not as reasonable—once things became impossible—as Neville had surely been on Crete and Chios. It was a matter of gratitude he was not one of their prisoners but a captive at least of the European army. On close study, she could see that two of the six men unloaded on the road were older, nearly as old as the guards. The rest of them were young—just boys, even if, judging by the news from captured areas, boy-faced monsters. They showed no interest as an army dump truck ground up the road and backed itself towards her father-in-law’s fence. Its tray rose and gravel fell from it with chattering brevity. Then, with tray lowered again, it charged away as if it had urgent business on similar roads. It left behind the vehicle that had delivered the prisoners and their guards, with one set (the guards) possessing only four old rifles from another war, rifles of the kind Duncan himself owned. Six shovels were now thrown down on the road by the unarmed driver of the first truck, and the prisoners were ordered by gesture and loud, English-language urgings to pick up the bloody things. They did it without rush, keeping close to the line between obedience and surly delay. A guard tramped around the road indicating surfaces and dips and ruts where the gravel was to go. It was hard to believe, though, that the road past Herman’s farm was going to benefit much from that dumped gravel. The six prisoners were not moving to the heap with any pressing desire to mend the surface. But the guards went on yelling, raising and lowering their rifles as if they were dumbbells, suggesting the pace of work. The strangers began sullenly to spread the gravel. Even the slow grind of the shovel blades into the heap of stones sounded contemptuous. The same with the prisoners’ movements to potholes, where they dropped the gravel like men who wanted it to be as small a remedy as possible. The driver, meanwhile, with a peculiarly military lack of interest—that princely boredom Alice had seen in underemployed soldiers before—got back into his cabin and drove the truck into the shade of a tall peppermint tree, and then turned off its engine. He got out and sat on the running board and smoked a cigarette. The empty cicada-shrilling day, peopled by middle-aged guards and indolent captives in burgundy-dyed shirts and trousers, seemed to Alice to be ripe for intrusion by someone active and purposeful. Could it be her? But it was more appropriate and obvious that she ought to stand up with her sewing and back away towards the door into deeper shade, as if with the intention of going into the kitchen. To hide was as natural as to gawp. Those gentlemen over there, or their compatriots, were the violators of Chinese women and impalers of children in Nanking. She had seen it all in newspaper photographs, hard to look at but impossible not to. What in God’s name, it had been asked at the time and ever since, would they do to white women and children? She noticed now that the guards had taken to the shade of some red gums on the far side of the road. Things seemed finely, even dangerously, balanced out there. There was a dormant risk the laborers might rush on the guards with their shovels, which possessed in sharpness almost as much efficacy as the rifles. One attack by the captives and one rifle seizing up might lead to the guards being battered and slashed. And who’d be next? The Hermans, and her, in particular: Duncan, her father-in-law, was not in close reach, but out on the tractor scarifying his fifty-acre paddock. But the guards seemed lazily alert. In terms of escape, there was nowhere the men could travel, and no way they could conceal who they were in a landscape where anyone except whites and blackfellers stood out. According to the pattern of her daily tedium, she had a stew on the stove, and she regretted having to go to attend to it now. Even on the hottest days, except at times of exceptional demand on his attention (lambing, haymaking), her father-in-law ate a substantial midday dinner. So at last she turned and made it in through the door, up the hallway, deposited her mending on a chair in the lounge room, and went to peel and boil potatoes. They were far too outlandish to fit into the torpor of an accustomed farm day. You could not avoid knowing they were there. Able to judge boiling times to a nicety, she went out again to check on these unknown quantities and see if they were still there. A westerly had begun to blow and she knew that if she stepped off the veranda the sun would descend on her like a doubled-up form of gravity. The wind nudged her cheek and brought her a conviction again that in some ways she could not explain. It was definitely more than a desire to see something novel and unsteadying up close, though it was that as well. But it was also that their drudgery might run parallel to Neville’s in another place. Occasionally heard Methodist sermons on matters such as the parable of the Good Samaritan suggested to her, and even raised an instinct in her, that to succor men so strange might earn succor for poor barely known Neville when he was marched out to work on harvests, as a recent rare letter had told her he did. In seeing them, she believed, she did in a way see him, and gain memory of him. Back to the kitchen she raced and fetched from a box by the dresser the remaining leftover lemons from the two trees in the informal orchard beyond the back gate. She began to slice the fruit, squeeze it out, pour the juice into jugs, go to the ice chest, chip ice off the ice blocks, put it all in the jug, mix in sugar—a reckless amount of her ration—add water from the kitchen tap with tank wrigglers in it, and stir it all up. She did not want her father-in-law to come in and see her behaving like this, so it must be done briskly. When the juice was made up, she found a tin tray, placed six glasses on it—five for the guards and driver and one for the prisoners to share—and the jug, and then set off down the hallway, across the veranda, and out into the cloying solidity of air. The density of the heat on her forehead made her feel a certain clarity, and seemed to prove to her that she was doing the right and humane thing. And it was only October. This was going to be a terrible summer. She put the tray down on the earth so that she could open the gate to the road, and was aware that the guards were watching her already through their sun-narrowed eyes. She picked up the tray again, carried it through, set it down not far from the new gravel heap, and closed the gate. Then she retrieved her cargo of minor mercy and made her way to the first two guards resting in the shade of the red gums. “You beauty!” one of them said, seeing the jug of lemonade and rising awkwardly from his haunches. They were weather-beaten men, lacking the bloom that Neville’s face had had when he’d gone off to the Middle East. These ones were exactly like the questing men who’d come bearing swags of few possessions to her parents’ farm near Coonamble during the bitter years, before war had taken away the young and brought a kind of rationed prosperity. “It’s a pretty fierce day,” she told the two men. She poured each of them a glass of her lemonade and told them she hoped it was sweet enough. She visited the other two guards at their post under the further tree, and the driver, who had wandered over. “Do you mind if I give the prisoners some?” she asked them. The aging soldiers looked at each other. One of the guards sighed, left the shade of the red gum, his rifle at the slope, and gestured to the prisoners. The six men, strung out between the gravel heap and the needful holes, put down their shovels. The other sentries took a more professional hold of their weapons. First Alice laid the tray on a tree stump, then poured six glasses, though five of them had already been drunk from. She did not know if she wanted to wait long enough to watch them drink one at a time. She offered the tray to the nearest prisoner. He was one of the younger ones. He had very startling wide-set eyes and handsome features, to the point of prettiness, and he made a minute bow with a few seconds of half smile on his lips. The guard uttered a momentary laugh. The young man seemed not to recognize the taunt. The prisoner stared at her with such a limpid-eyed directness she was forced to look away. It seemed the result of something that would not be soothed in her that made her avert her eyes in a landscape that belonged to her and not to him. She became convinced he would refuse to take the glass, that he would embarrass her in front of the guards. She was surprised by the small noise of his picking it up and turned her eyes back. His style of accepting the glass, of bowing and of drinking, was to Alice like the practices of a religion she had never before encountered. When he was finished, he bowed to her and replaced the glass on the tray. By then his other companions were accepting glasses, though none of them quite matched him in bearing and ceremony. Alice had a chance to study them as they drank. Apart from the handsome boy, there were three narrow-mouthed kids who were not expressive at all, but who nonetheless made quick bows of the head when accepting the lemonade. Then came a stooping older man with a limp—as she’d observed—who obviously considered refusing the glass and delayed some seconds before seeming to find the frost on its flanks too great a temptation. His long face was a hard map to read. Last of all was a thin man about the same age as the lame one, and wearing a judicious sort of frown. Alice felt she was learning little by reading these mute prisoners so intently. She realized she would have welcomed sneers or leering since that would have, by contrast, made Neville somehow realer, more sharply seen. But they were prisoners in a different way from Neville. They were here and could not be interpreted. Neville was in another hemisphere yet his nature was formulated—not least by the tale of his capture. Neville wanted liberation. But what did these men want? They did not even take her lemonade with any outright gratitude, though the temperature was as high for them as it was for the other men. An untoward sadness seized her. She felt cheated that she had studied so hard the faces of those she had been merciful to and had learned so little. She was consoled to some extent because she knew she had defeated their understanding too. But it was mercy without the reward of knowledge, a gesture that didn’t earn enlightenment, a mere dimple in the day’s argument between guards and shovelers. They put the glasses back on the tray after they were finished. The guards moved in and reclaimed the day for labor, ordering the six prisoners to take up their shovels. And although these people had at one stage of their history owned every island in the Pacific except this one, the biggest and driest, here on Herman’s Road they were like wisps of men. She and they were ghosts to each other, and nothing had been learned for Neville’s sake. Duncan Herman was a wiry fellow, smaller than his absent son, who had inherited his build from his late mother. Duncan was one of those fellows who had always been baffled by women and maneuvered edgily around them with a gruff jolliness. Now, as a widower, he had that same wary manner towards Alice. It was obvious he would never remarry; Alice had overheard him murmur to another farmer he’d met on the street in Gawell, “I’ve retired from the business of women.” In his system, you tried things once and if they ended halfway badly you did not attempt them again. It was an agricultural attitude and on the level of farming had proved fairly reliable. He held no rancor against the human race—he just didn’t need it greatly. Duncan’s wife had developed consumption and been operated on and put in a sanatorium in the Blue Mountains. The expense had been a burden, but Duncan had met it for two years. It was on a day after he had visited her that Mrs. Herman had died unexpectedly of a stroke. Neville had been eighteen at the time and knew that Duncan carried a vague sense of blame, convinced that a woman was a set of symptoms which in Mrs. Herman’s case he had somehow set off. Not long after Alice had met Neville at the dance in Gawell, where she had been visiting a girlhood friend, he had told her this, because—typically of a country town—there were gossips. Alice should understand, Neville insisted, that because his mother had been a town beauty, scandalmongers had talked with pursed lips about the tragic contrast between her as a girl and as a woman, and somehow had found his father to blame for the difference. But it was just really bad luck, said Neville. Okay, a bit of a mismatch, but made in good faith. None of it was Duncan’s fault—according to Neville. His father was a brick, a true gentleman. Farm work had been hard on Mrs. Herman, of course, but no harder than on other women. But it did show you that farmers should marry farmers’ daughters. Your average mixed livestock and grain farm could be a shock to a town girl. For it had hidden tests. Neville was a different creature from his father. Already a recruit, and possessing the faint glamour of warriorhood, he had an arduously brilliantined head of dark hair, which somehow touched Alice, not for the reasons he would have wanted it to, but because of all the solitary effort he put into it. He had a glimmer of unmeasured possibility in his eye, and that, too, seemed poignant to Alice. It would need a great deal to happen to him before that glint of hope was snuffed out. It seemed to be great days for marriage. Soldiers’ girlfriends were becoming engaged, it seemed to Alice, as a gesture towards morale. When Neville asked her about ten o’clock on a Saturday night during a School of Arts dance, acceptance had seemed unavoidable. It was well-known from the flicks and radio serials that a soldier needed the solace of a remembered girl to soothe the harshness of army life, and on foreign fields a wife’s name and picture and letters to provide him with certainty and wisdom and discretion. The very ordinariness of his sentiments had, in the circumstances, more force than if he’d quoted Wordsworth. He was considered A1 by the army, which had condemned him to the infantry and only occasional leave; and she knew what a mixed farm was, and how to be of use on one—marriage would be a matter for her purely of changing locations from Coonamble to Gawell. When he was home on leave, Alice and Neville married. Her mother had met Neville earlier and liked him but thought the marriage ill-advised given the state of the world—as well, Alice thought, for other, unstated reasons, whose aroma her mother had the power to release into the air rather than going to the trouble of defining them. Alice and her mother had always irritated each other, sometimes severely so. She was a blunt woman whose opinions Alice’s father went to some trouble to avoid challenging. She had warned Alice about a certain bush type—the narrow and mean-fisted contrarian, and his joyless spite. But Alice was willfully certain Neville did not fit the category. Yet she knew her mother was correct in another sense in her doubt about the marriage. During the engagement, Alice was more excited, skittish, and feverish than at any other time of her life, and she realized she was enacting a version of something she had seen at the Rialto Cinema—the breezy, happy engaged girl over whom no cloud hangs. There was something in it all she herself didn’t quite believe. Whether she loved Neville or not was a mystery to her. His announcements of love were compelling, however. As for the risk of Neville becoming Duncan, she thought the contrast between them was extreme. Neville liked the picture houses, too, and said he’d come to town every night if he could. He had at least half a dozen close men friends from school and had been a good dancer at the Bachelor and Spinster Ball. He’d even brought other soldiers home with him on leave and showed Alice off to them. Her mother had come with her to the Hermans—Alice couldn’t very well prevent it—and in the lounge room Neville had played the gramophone and the soldiers had taken turns dancing with Alice and her mother. Neville wasn’t jealous, either, if a visitor danced with Alice. In fact, occasionally he’d chase up a few Gawell friends to play mixed doubles, Alice partnering the other fellow. Nature seemed determined not to repeat in him the characters of his parents, but to send him off on a new and healthier tangent. Before a child was conceived, Neville was convoyed off to Egypt. That had been two and a half years before she served the lemonade to the unreadable presences on Herman’s Road. Before Neville went, there had been a little time to raise questions about fertility, but they would not be answered until she saw him again. She had always calmly seen herself, without desperate yearning, yet of her essence, as an eventual mother—but, given the circumstances, the eventuality was to be delayed. Still, she could imagine children hanging from a tree like fruit, or riding together, burlap bag for saddle, on the old plough horse Duncan kept. "No one equals Keneally for documenting the actions of human beings caught up in war, some desperate to hold onto their humanity, others desperate to die." "[Keneally] gives vivid human faces to the victims and the perpetrators of war. He weaves his magic and the reader falls under his spell... Keneally negotiates the separate and intertwining narratives with his usual elegance and skill." "There is an intelligence and a mastery of conventional modes of narrative that must be acknowledged... Shame and the Captives entertains and informs." "[Keneally] looks into the heart of the human condition with a piercing intelligence that few can match." 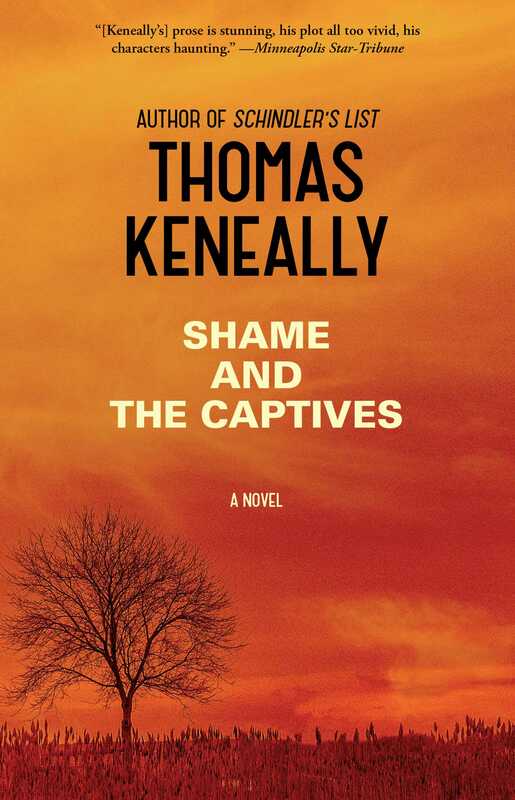 "Keneally has a Tolstoy-like gift for getting into his characters’ heads, as well as for portraying great turns of history in scenes of everyday life." "Keneally's gift, and his blessing to the many hundreds of characters he has created, is always to find the extraordinary within the ordinary. Each of them rises out of and above their varying backgrounds: the class, religion, ambition that mark but do not define them . . . Yet another of Keneally's grand entertainments."